All Nazeem, the former lawless and slum region where I reside, is undergoing a transformation. That transformation isn't being implemented by a master plan or governmental interdiction. It's primarily a result of social change playing out. 74% of Saudis cannot afford a house and most have lost hope of ever owning one. Within the city limits of Riyadh and its surrounding areas, all property is owned by the rich and by the royals. Vacant lots are awaiting eventual commercial building construction. 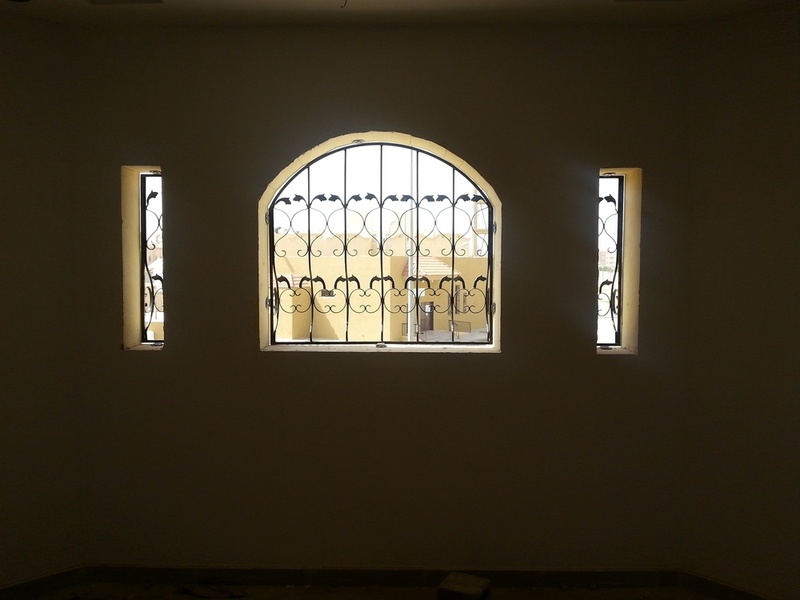 There's been a boom in apartment construction to provide housing for Saudis, but here too, Saudis hate being confined to small apartments, especially multi-level apartment buildings, and the rent for small two-room apartments have been rising dramatically. Twenty years ago, the idea of having wives who worked was anathema for male Saudis. While that traditional norm may still apply for older Saudis, young Saudi couples now need to earn two incomes in order to keep their hope alive for owing their own home. These young couples also want out of the confining spaces of the apartments. With no affordable land available in Riyadh, these folks now are headed out to the "suburbs," Al Nazeem being one such neighborhood. The influx of these Saudis to this region is making welcomed changes to Al Nazeem. Construction is everywhere. Today, I drove around the neighborhood and took some photos of the changing face of Al Nazeem. 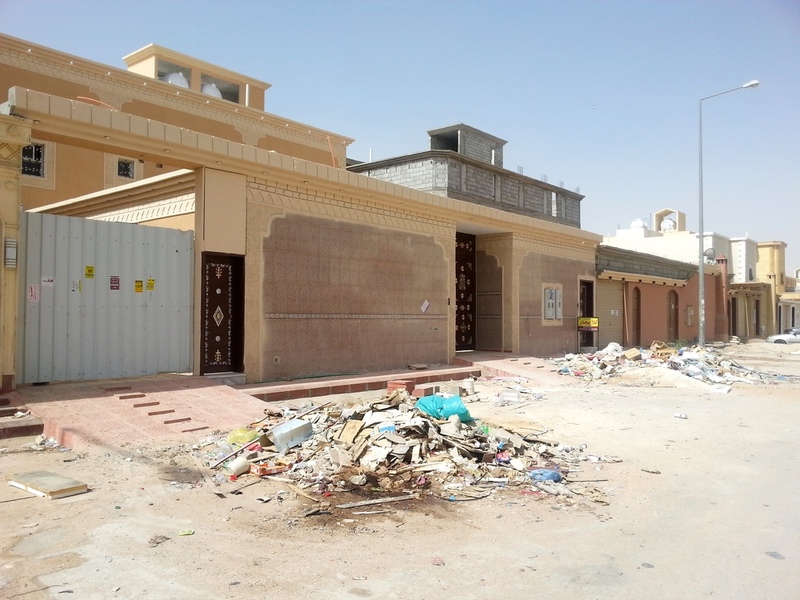 If you've noticed the bit of trash surrounding these houses, well, welcome to Al Nazeem. I don't know if this place is one large trash dump or some existing slum buildings were knocked-down to make room for new housing. Either way, what you see in this photo is a standard view of the neighborhood. I drove down a few of the the neighborhood streets to take some photos. In this area, I found houses still undergoing construction and others that appear to have been occupied for some time. 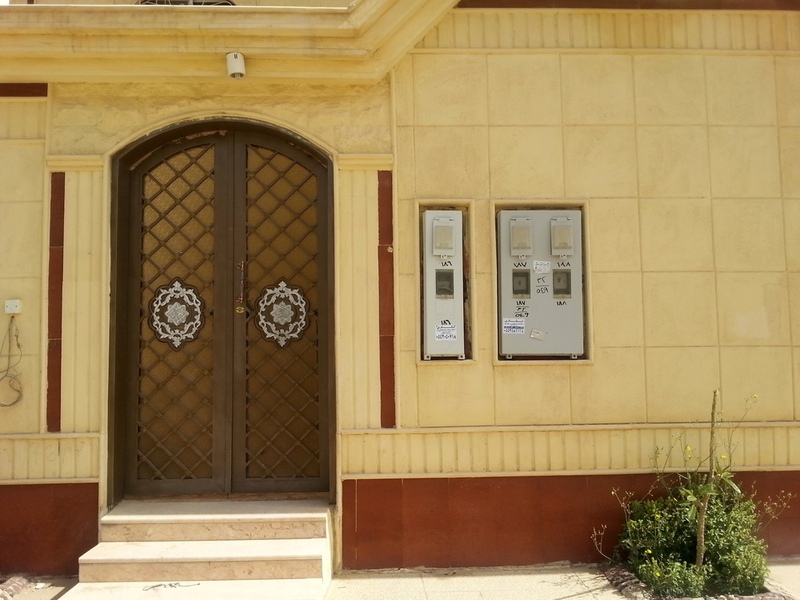 Standard house construction in Saudi consists of a large, multi-floored, multi-room home surrounded by high walls with security gates and doors. The alleyway created by the exterior walls and the house is approximately two to three meters. There are no front yards or back yards...every square inch is covered by concrete. Not very child friendly. I was looking for a house under construction that didn't have its security gates locked. I found one that was on the corner, across from one of the 82,000+ mosques that exist in this country. No one was there to evict me, so I entered the home and took these photos. Nearly all finished construction for private housing or commercial office space consists of marble slabs that cover walls, floors, and stairs. Same goes for Kuwait and other countries in the region. It makes sense for cleaning, especially following dust or sandstorms, but it gives a very cold and impersonal character to the home. Occupants more than likely use carpets, wall coverings, and window treatments to warm these spaces up and reduce echoing. But you get these marble floors wet and they're terribly slippery and dangerous for children and older people. Quality of construction is another matter. These homes are constructed of concrete and use precast concrete slabs and pilings to build the load-bearing structure. I'm told that this construction standard is fine for this region since there are few earthquakes in the region. Still, I wonder what will happen when the "Big One" strikes. I suspect most of these structures will collapse. The photo below shows marble slabs that create facades over concrete construction. The photo comes from my office building in Riyadh, but the lack of maintenance that follows any construction here contributes to accelerated wear and tear that dramatically reduces the lifespan of any structure, commercial or residential.